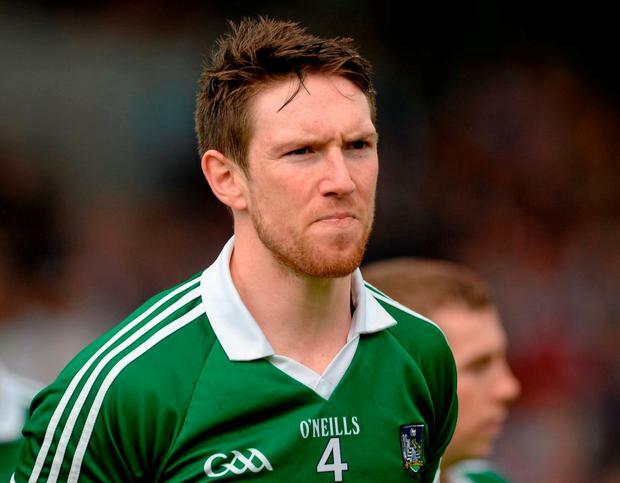 Limerick defender Seamus Hickey has called time on his inter-county career. The Murroe-Boher clubman who has been on the Treaty panel for the past 13 years was part of the panel that ended Limerick's 45-year wait for All-Ireland glory this year. He was named Young Hurler of the Year in 2007 as Limerick reached the All-Ireland decider, where they were beaten by Kilkenny. The 31-year-old was an unused substitute in this year's All-Ireland final but did make an appearance from the bench in the semi-final win over Cork. His statement read: "It has been God’s great blessing and an enormous privilege to wear the Limerick jersey from my teenage years through my entire adult life," the GPA chairman said today. "It is an even greater blessing to have been part of an incredible group of people in 2018 and to deliver to Limerick what the proud sporting county deserved: the Liam MacCarthy. "I have now decided to step away from the Limerick senior hurling panel. I am eternally grateful to my club Murroe Boher, to the GPA for their incredible support and guidance, to the exceptional teammates I’ve had, the inspiring managers, the perennially selfless backroom teams, the successes, the failures and everything I have learned along the way. "My dream off the field has now grown bigger than the one on it and I look forward to being the very best husband, father, brother and son I can be."